High quality connector with a low price! I'm so happy! GYXTY, optical fiber in central loose tube and filled with jelly, strength steel wire, outer polyethylene(PE) sheath. Used for aerial outer door telecommunication. The unique fiber excess length control method provides the cable with excellent tension and environmental properties. The loose tube material itself have good water-resistant properties of solution and higher intensity, Special jelly filled in the loose tube provides the fibers with critical protection. Fiber-Mart provides GYXTW from 4 fiber cores to 12 fiber cores. Both single mode type and multimode types are available. 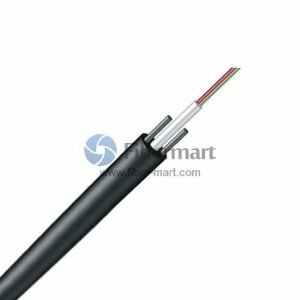 We also provide Customized Service such as fiber number, fiber color and cable length, etc.